When we had Piglet I borrowed a moses basket from my sister. All I had to buy was a new mattress and voila – we had somewhere for a baby to sleep. With JJ my sister was having a baby at the same time so needed her own moses basket – so the hunt was on for an alternative bed for the new arrival! Baby Crate offered to send us one of their crates for JJ to sleep in. 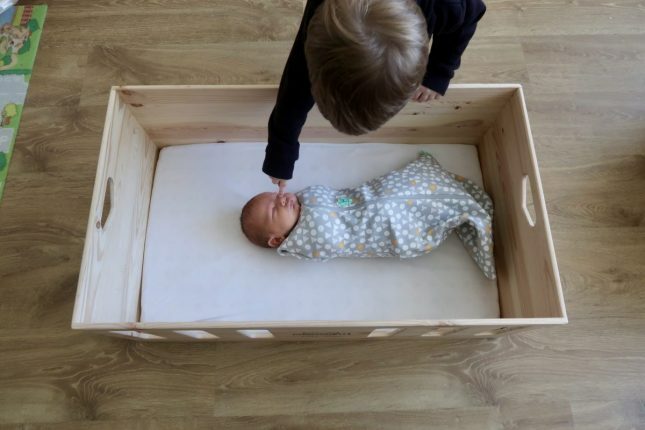 Knowing the popularity of the Finnish baby box, and the more recent baby box that has been rolled out across Scotland, I was eager to see how the Baby Crate would compare. 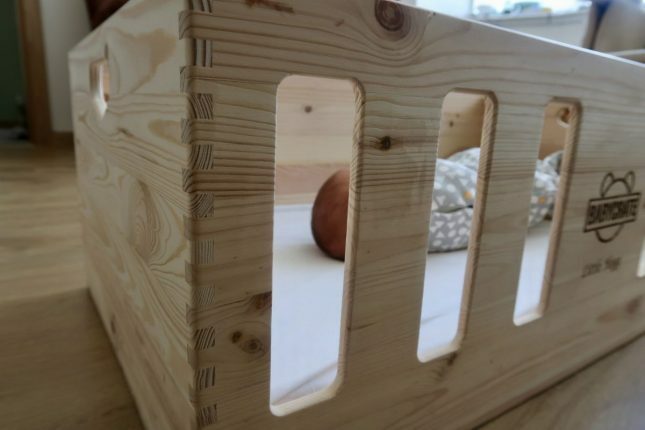 The Baby Crate is designed to give your baby a safe place to sleep in an all natural environment that is free from allergens and toxins. The crate itself is made of solid FSC-certified pine lightly treated with a water-based lacquer. I love the look of it and think it looks much more modern in our living room than a traditional moses basket. For my personal taste the wood is slightly too light in colouring and I would have liked to have seen it a bit darker, but that is dictated by the wood used and is purely personal preference! 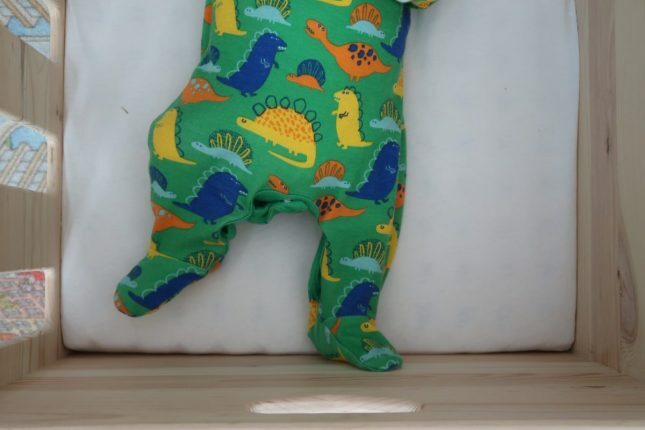 I love the cut outs on one side of the box, so you can easily see in to the baby if you’re at ground level…. which I am surprisingly often when I’m playing with Piglet. They also mean that as JJ get’s older he will be able to look out of the crate if he wants to. You have the option to personalise your crate with a name. 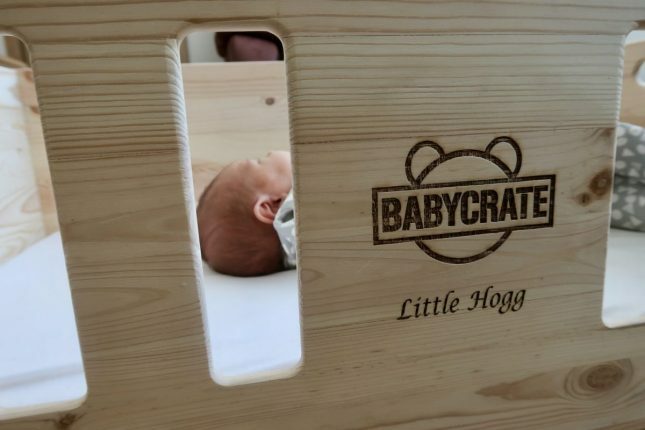 We opted for “Little Hogg”, as I think that once JJ grows out of it we will use it as a toy box and I wanted it to be something the boys can share. The mattress is pure, 100% natural caoutchouc (a natural rubber), and then covered with thick organic cotton to ensure optimal firmness without toxic off-gassing. It comes with two organic cotton sheets which are lovely and soft. The crate has 2 handles on it which make it easy to move around. I love the concept of the design as the fact that it is on ground level means I don’t have to worry about Piglet knocking it over. I do have to keep an eye on him to make sure he doesn’t climb in on top of JJ though! The Baby Crate has been a lovely addition to our home. It is not only a safe place for JJ to sleep, but it has been a conversation starter too. 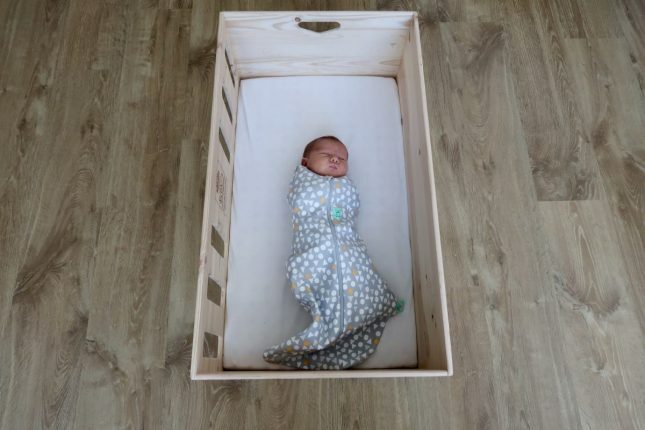 Larger than a standard bassinet, I know JJ will be in it to sleep for quite a while yet and once he’s outgrown it the boys will have it for their toy box – so the Baby Crate is definitely here to stay! We were sent a Baby Crate for the purposes of carrying out a review. All words and opinions are my own. Previous Post What Is In My Hospital Bag?